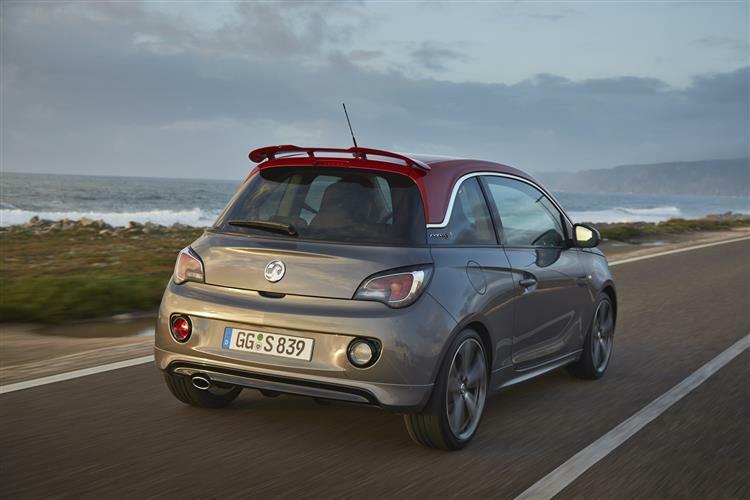 The Vauxhall ADAM S is a warm hatch with any number of differences. Jonathan Crouch reports. The ADAM has had a bit of difficulty finding its feet in the UK market but Vauxhall hopes that'll change with this 'S' warm hatch version. With a 150PS 1.4-litre turbo under the bonnet, it's got a bit of zip and doesn't take itself too seriously. 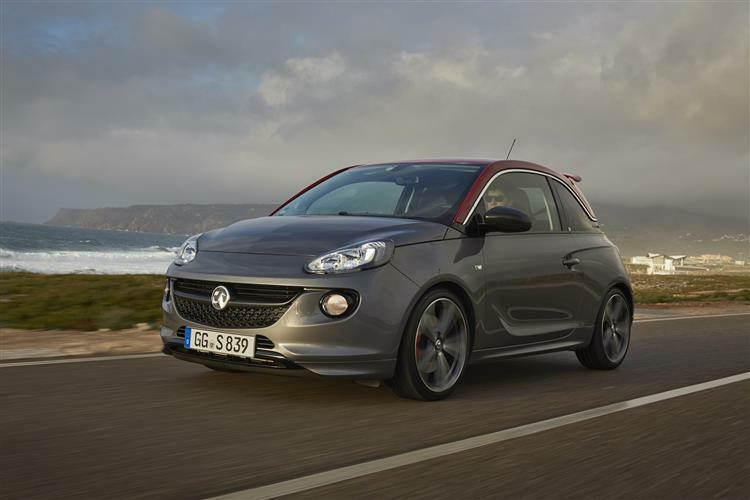 Should a Vauxhall ADAM really be sporty? This car is after all, at heart, a fashion-conscious urban runabout. There's no harm in delivering one with a little extra pep though, and offering British buyers something different to the cutesy boutique charms of MINI Coopers, Citroen DS3s and sportier Fiat 500s. There's a bit of a strange bit of market dynamics going on with these cars though. People buy them to look different and their manufacturers go big on personalisation options that allow owners to do just that. The thing is, how different do you feel seeing a myriad of MINIs, Fiat 500 variants and DS3s every day? This ADAM S can claim to be a rarer choice. Which means that its time may well have come. 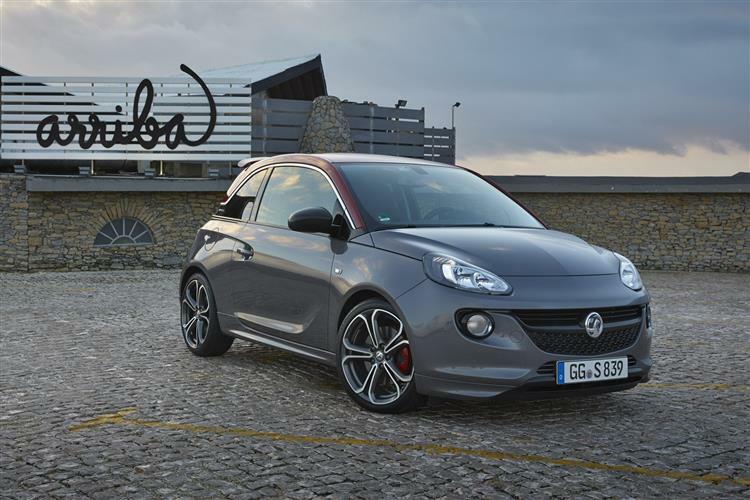 Riding on a shortened version of the Corsa supermini's chassis, the ADAM S tips the scales at just 1,178kg, so the 150PS 1.4-litre turbo engine endows it with a useful turn of speed. It gets to 62mph in 8.5 seconds and will run onto a top speed of 124mph, which is just quick enough to remind you that this is something other than a typical city scoot but not so rapid that insurance and fuel bills start marching skywards. The suspension has been firmed up compared to the other models in the range and this, combined with the car's standard 18-inch alloys, ought to give it quite a focused ride quality but there is some suppleness which you'll value in town. There's also very little in the way of body roll. The 1.4-litre engine does its best work in the upper registers and the six-speed manual transmission will please traditionalists. The ADAM S is certainly going to attract a few admiring glances. We weren't too sure about this Vauxhall's styling when it first launched in humbler guises - it just didn't seem to have enough punch. The attitude though, gets amped up very nicely with this sporty version. It features a front spoiler, side sills and an extended rear bumper cut-out with a visible, bold exhaust tailpipe. A total of ten body colours and a further four roof combinations are available, with an exclusive Red 'n' Roll roof design. It sits on exclusive 18-inch alloys and is topped and tailed with a spoiler above the rear window and LED daytime running and rear tail lights. Should you be feeling suitably extrovert, you can extend the Red 'n' Roll colourway indoors, with the optional leather package including red leather steering wheel, gear knob and handbrake, as well as unique grey/black/red key design and red stitching on the door panels. 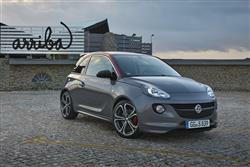 Other details include custom floor mats, aluminium-capped sports pedals and door entry strips with Vauxhall lettering. A multi-colour LED interior lighting package is also available which allows eight different ambient lighting colours. The ADAM S weighs in at around £17,500 on the road, which might seem quite an ask for such a tiny car, but it's pretty well loaded with gear. Even leaving that aside, it's huge fun to give a good pasting to when the roads open up - and the kit list more than speaks for itself. Fitted as standard are 18" alloy wheels and all the body styling bits, electronic climate control, a CD stereo with DAB radio, USB, Bluetooth and aux-in, steering wheel mounted audio controls, leather trim for the wheel, sport seats, cruise control, switchable ESP, a tyre pressure monitoring system and six airbags. Options include a crazy star-effect roof and a heated steering wheel. Most customers will spring for the IntelliLink system offers state-of-the-art connectivity and apps. 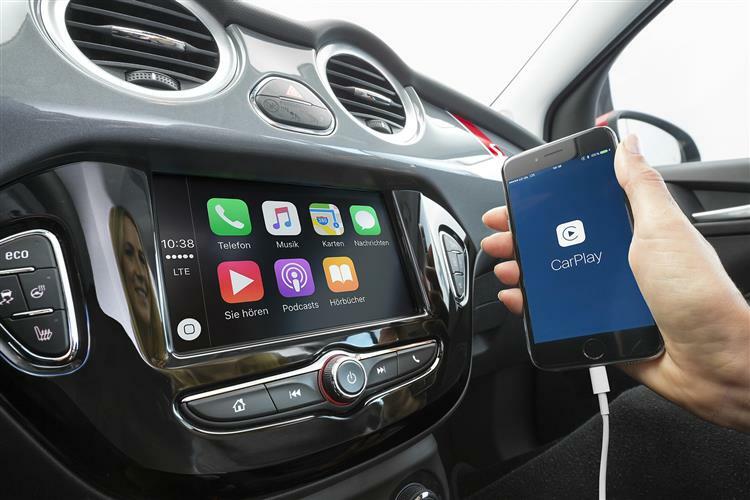 This infotainment system is fully-compatible with latest smartphones and tablets whether you favour Android or Apple iOS. It provides USB and Bluetooth connectivity, audio streaming, seven speakers and a 7-inch high-definition colour touch-screen. If you've got an Apple, you can uses the Siri Eyes Free voice control function. IntelliLink also provides navigation by the BringGo app, as well as the Stitcher and TuneIn apps. The 1.4-litre turbo engine returns some respectable fuel consumption figures. It's fitted with a Start/Stop system and already meets Euro 6 emission standards. The dual cam phasing for continuously variable valve timing and the turbo integrated within the exhaust manifold help make the engine lighter and more compact. Other weight-saving features include a cast iron block with a hollow frame structure, hollow-cast camshafts and a plastic intake manifold. All that helps it to 47.8mpg on the combined cycle and emissions of just 139g/km. The fact that Vauxhall has loaded it with a decent slug of equipment helps prevent residual values getting eroded too badly. Even the swish IntelliLink system only adds £275 to the asking price. Ignore all the 'lifestyle' nonsense that this car is sold on. The bottom line is this. 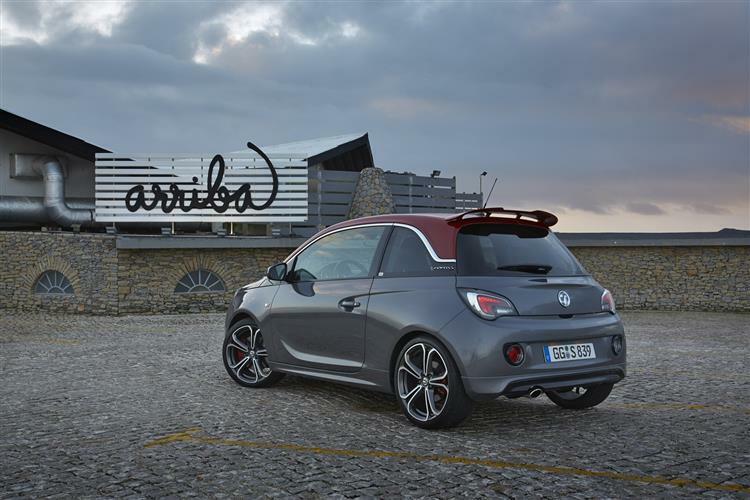 The Vauxhall ADAM S is just good old-fashioned great fun. A punchy little petrol engine, a six-speed manual gearbox, an honest chassis and a fruity soundtrack means that it's hard not to drive this car without a grin on your face. It's also not bad value either. Yes, you can buy a Ford Fiesta ST for about the same price that would seem to offer a bit more of almost everything, but the ADAM S appeals because it seems to be almost ironically ridiculous. It's a loveable little thing and one that deserves to do better than Vauxhall's ultra-modest projections.